Brought up amid the luxury of plantation life, Marianne Johnston never questions her sheltered life until, driven by her conscience, she joins the Underground Railroad. Soon Marianne is living a dangerous double life, helping slaves flee by night and acting the belle by day. And nothing is riskier than her attraction to wild, heartless young Southerner Yves Chamard-while being courted by his noble older brother. Now Marianne is desperately trying to resist Yves's seduction, knowing that her surrender to his touch may cost her everything . 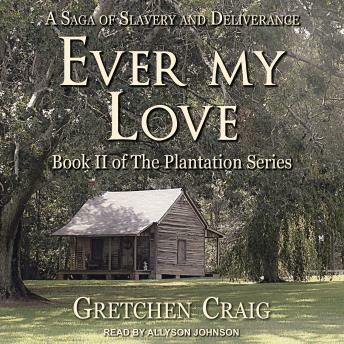 . .
Gretchen Craig returns with another sweeping story that brings the Old South to life in all its glory-and a passionate heroine compelled to follow her heart . . .